There are 253 new state laws with a January 1, 2019, effective date. Many of these new laws simply clarify existing statutes, while others improve transparency and overall government processes. Still, others represent entirely new ideas that are now becoming law. This year I was successful in passing three bills and several resolutions. Most of my legislation for 2018 improved processes for the health and human services area of state government. Click here to view a list and summary of the 253 bills that become law on January 1. 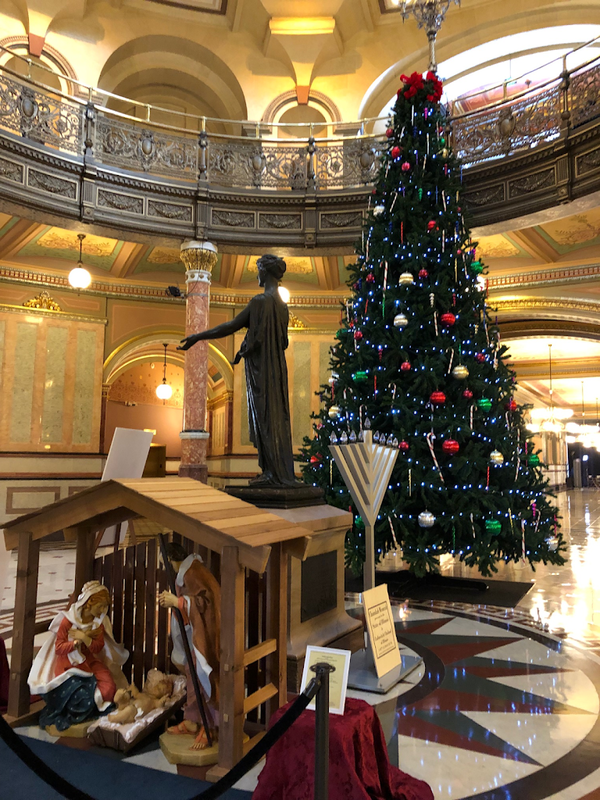 I am in the process of drafting my legislative agenda for 2019 and will begin filing those bills in early January. For 2019, I will be sponsoring legislation that further seeks to improve access and delivery of health care services, protects taxpayers and improves government operations. Your input and suggestions are always welcome. If you have comments or ideas to share, please feel free to call my legislative office at (815) 561-3690. In its latest report, the Governor’s Health Care Fraud Elimination Task Force showed that it successfully avoided or recouped $218 million in wasteful or fraudulent Medicaid spending. The effort resulted in 39 fraud convictions including $27.8 million in recoveries through criminal prosecutions, civil actions, and/or administrative referrals. The Department of Healthcare and Family Services (DHFS) Office of Inspector General (OIG) saved or recouped an estimated $190 million in Fiscal Year 2018. The task force has saved the state more than $665 million since its inception in 2016. 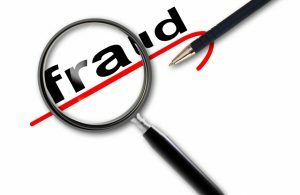 The Governor’s Health Care Fraud Elimination Task Force was created in April of 2016. Chaired by Executive Inspector General Susan Haling, its purpose is to develop and coordinate a comprehensive plan to prevent and eliminate health care fraud, waste, and abuse by deploying a cross-agency, data-driven approach. The Task Force specifically focuses on reducing wasteful spending and fraud in Medicaid, Worker’s Compensation, and State Employee Group Insurance. In Fiscal Year 2017, members of the Task Force participated in the 2018 National Health Care Fraud Takedown, which was the largest health care fraud enforcement action in the U.S. Department of Justice History. The Illinois State Police Medicaid Fraud Control Unit’s participation led to the indictment of 14 people responsible for approximately $430,000 in fraudulent claims in the Medicaid Home Services Program. Task Force members also participated in the U.S. Attorney’s Office Health Care Fraud Task Force meetings to share information about data-driven approaches to fighting fraud. 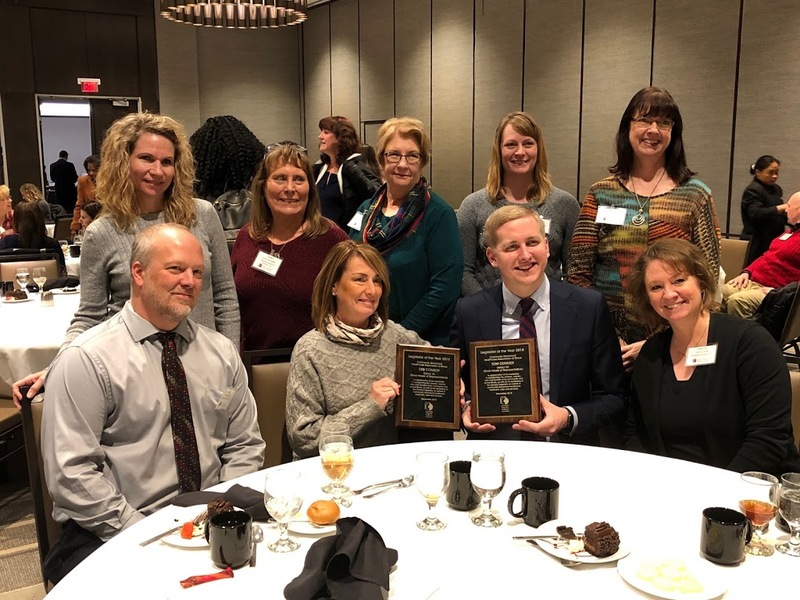 Last week I was proud to receive one of two “Legislator of the Year” awards from the Community Behavioral Healthcare Association (CBHA) of Illinois. State Representative Deb Conroy (D-Villa Park) also received the award. Representative Conroy and I work together on the House Mental Health Committee, where she serves as the Committee Chair and I serve as the Republican Spokesperson. Bipartisanship is key to this committee’s success, and I am glad to share this recognition with her. 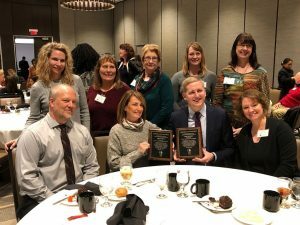 I was nominated for the award by the staff and administration of Sinnissippi Centers, Inc., a community-based behavioral healthcare system in Northwest Illinois. 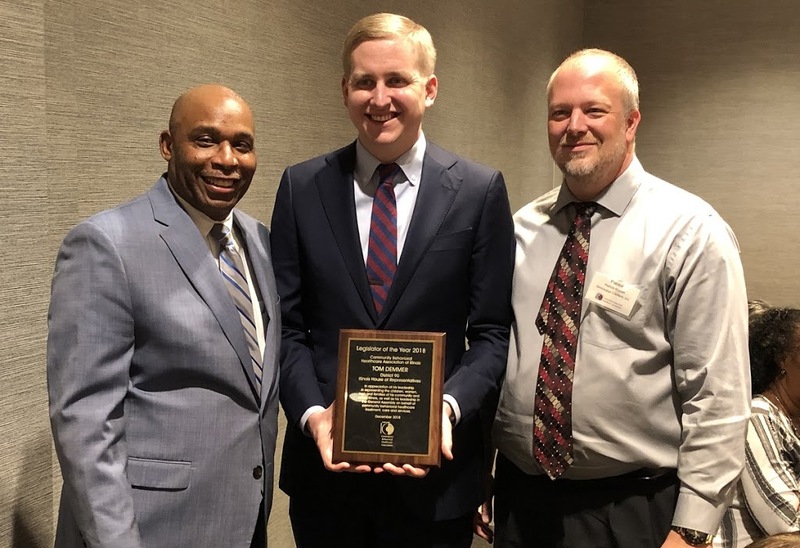 It is an honor to be recognized for my work in this important area of public policy and I look forward to continuing to work on legislation that helps reform delivery systems and improve patient outcomes. I’m shown in the top photo with CBHA CEO Marvin Lindsey and Patrick Phelan, President, and CEO of Sinnissippi Centers, and in the bottom photo with Representative Conroy, Patrick Phelan and members of the CBHA. The deer, taken at an unnamed location by a hunter from Johnston City, bore a rack that shows up in photographs at 51 points. The trophy buck’s record is not yet official and has not yet been certified. The current U.S. record is a 47-point buck shot by a hunter from Gallatin, Tennessee. The potential record-breaking buck was harvested during the first Illinois shotgun season. Hunter Keith Szableswki talked to personnel from the Illinois Department of Natural Resources (IDNR), who strongly urged him to get the trophy ranked and scored. Szableswki told a reporter his intent was to submit the trophy rack to judges at the Illinois Deer and Turkey Expo to be held in July 2019 in Peoria. He added that the animal, which weighed in at about 265 lb., has been processed and most of the meat donated to charity. As we end 2018 and prepare to usher in 2019, I hope you are able to spend quality time these next few weeks with family, friends and other loved ones. While this has indeed been a difficult year for the State of Illinois, we have very much for which we can be truly grateful. I hope you have a wonderful holiday season and a healthy and prosperous new year! Snow and wind that is common this time of year often makes travel difficult and dangerous. Please be safe on your holiday travels. You can use this link to access alerts about current road conditions that could make travel challenging. The countdown to Christmas has begun! You can use this NORAD Santa tracker on Christmas Eve if you would like to follow Santa’s trip around the globe. Warmest wishes to you and yours during this blessed season.